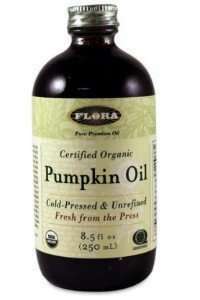 Pumpkin seed oil is one of the best oils to use for hair growth and strengthening hair follicles. Hair loss can be an annoying and depressing problem especially if you’re doing everything to rectify it without success. However, don’t give up yet. With a few adjustments to your hair care practices internally and externally, you should be able to eliminate the problem. 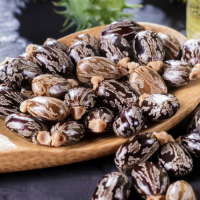 This article will cover the top 15 pumpkin seed oils for hair growth, what makes them the best and where to buy pumpkin seed oil. Pumpkin seed oil is derived from the seeds found inside the pumpkin fruit. The seeds are rinsed, dried, hulled and roasted before they cold pressed for the oil. Pumpkin seed oil is dark green and has a rich nutty smell. 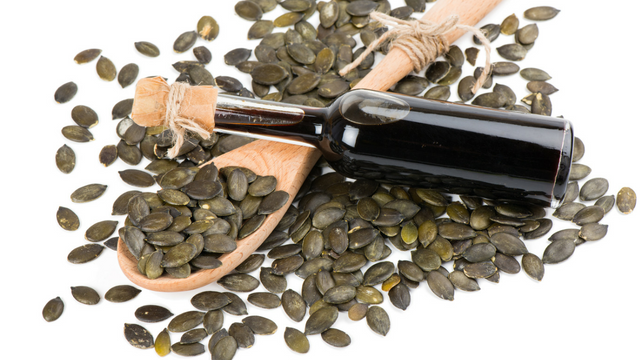 Pumpkin seed oil may also be red depending on the concentration and thickness of the layer. Pumpkin seed oil nourishes the follicles and softens hair. 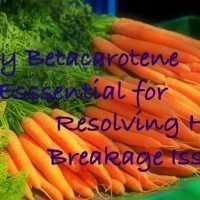 The high beta-carbene content helps promote stronger hair growth and alleviate thinning. It also controls frizz and promotes shiny hair. Pumpkin Seed Oil for Hair Growth & Stronger Follicles shares two excellent pumpkin seed oil recipes for hair growth. I encourage starting with these recipes and adapting along the way based on how your hair responds to it. 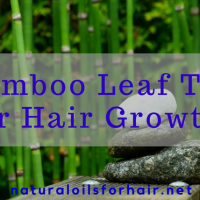 In order to get the benefits of pumpkin seed oil to work effectively for hair loss, you need to combine it with other hair growth oils recommended in the article. Do Pumpkin Seeds Make Your Hair Grow? 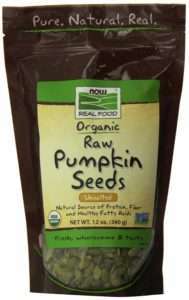 Your body and hair can benefit greatly from adding pumpkin seeds to your diet. Pumpkin seeds contain zinc, magnesium, vitamin E, potassium, thiamine, niacin, iron, riboflavin & pantothenic acid. These are all ingredients that help optimize your bodily functions, which lead to healthier hair growth. There is a pumpkin seed oil hair loss study, which states ingesting pumpkin seed oil can increase hair growth by up to 40%. Something important to note in that study is that patients were treated with pumpkin seed oil as well as additional ingredients. 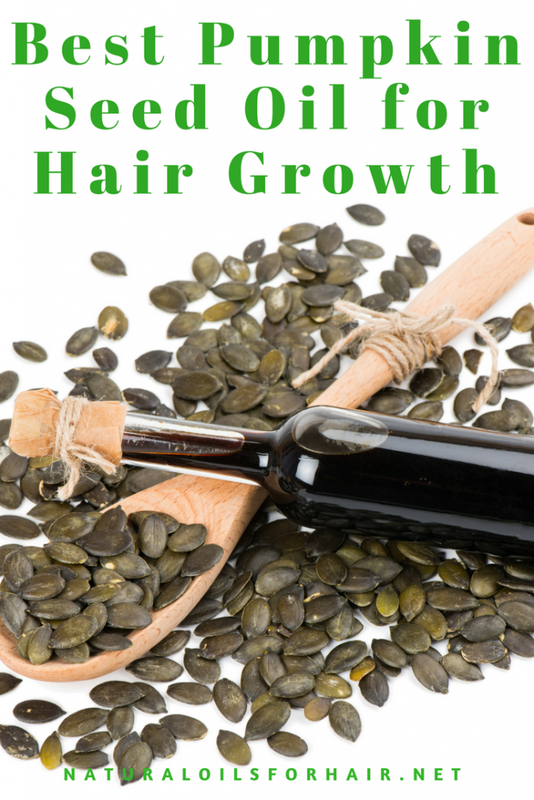 It’s possible more than the pumpkin seed oil was responsible for their increased hair growth rate. However, pumpkin seed oil did play a part in it. 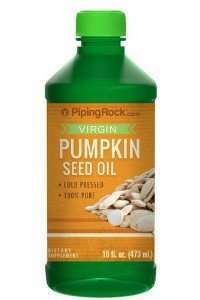 Additionally, I have tested pumpkin seed oil on my hair and I know it works when combined with other hair growth oils. I usually test out an oil or oil mix in isolation for up to 3 months before I bestow any attributes upon it. 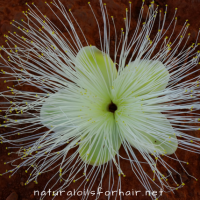 All the oils featured in How to Grow Your Hair Healthy and Long with Natural Oils were tried and tested this way before they were included in the book.